While overall theyre happy to be retired, retirees paint a picture of limited means and possible financial disaster. While overall they’re happy to be retired, retirees paint a picture of limited means and possible financial disaster. While overall they’re happy to be retired, retirees paint a picture of limited means and possible financial disaster, although workers aged 50 and over are planning either to postpone retirement or continue to work once they have retired. Those are some of the findings in research from the Transamerica Center for Retirement Studies. In its report titled “The Current State of Retirement: Pre-Retiree Expectations and Retiree Realities,” Transamerica found that most retirees (60 percent) actually left the workplace earlier than they had anticipated. While 66 percent citing employment-related reasons including organizational changes at their place of work, job loss, being unhappy with their job or career, or receiving a retirement incentive or buyout, 37 percent said health or family reasons, including ill-health, or family responsibilities such as caregiving were responsible. Just 16 percent said they were financially able to retire early. Most retirees surveyed said that their most recent employer didn’t offer them much to help with the transition into retirement. Fewer than 10 percent said their most recent employer offered flexible work arrangements, retirement seminars, or financial counseling. Workers aged 50 and older were more likely to say their employer provided such assistance, but the percentage was still below a quarter of the group. Social Security is one of the current sources of income for 89 percent of retirees, and 61 percent say it’s going to be their primary source of income throughout retirement. Only 16 percent of retirees strongly agree that they saved enough money to get them through retirement. 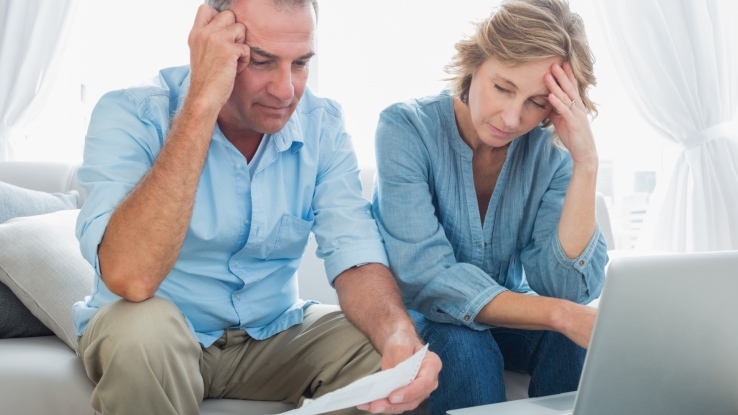 Some of the financial obstacles they’re experiencing now that they’re out of the workplace include just getting by/covering basic living expenses (42 percent), paying healthcare expenses (37 percent), paying off mortgages (21 percent), and continuing to save for retirement (20 percent). A quarter of retirees are still working on paying off credit card debt as a financial priority.